Terry Murray is a veteran educator and respected artist who calls the Hudson Valley home. By integrating his years of experience as a teacher, scholar, artist, group facilitator, and spiritual practitioner, he designed Creative Pilgrim—a unique blending of his many skills and passions. His one-of- a-kind artistic pieces (including his signature Simply Human series) are made from reclaimed wood and meaningful found objects. 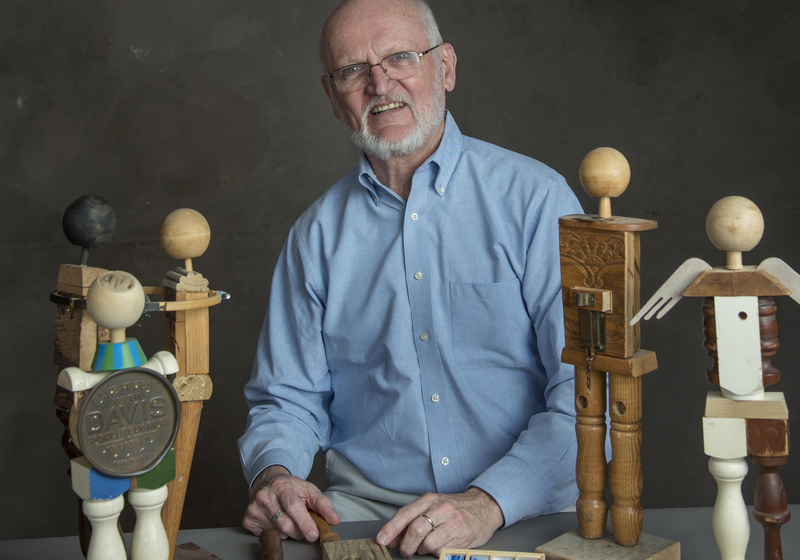 By sharing his sculptures with a range of groups—from young students to older adults—he has discovered they are powerful metaphors for anyone to explore and more fully understand their own lives. What do you see? How does this art explain you? Can you create a piece with your own thoughts or beliefs? Through mindfulness and expressive arts approaches, or by interacting with the art that he creates, Terry encourages anyone to explore, reflect, discover and act. Terry holds a Bachelor of Science in Art Education, a Master of Professional Studies from SUNY New Paltz and a PhD in Curriculum and Instruction from SUNY Albany. For 29 years, he taught part and full time as a faculty member in the Humanistic/Multicultural Education Program, School of Education, SUNY New Paltz. Since his retirement as an Associate Professor at SUNY New Paltz in 2016, he continues to teach part-time at SUNY Paltz as well as other educational institutions.